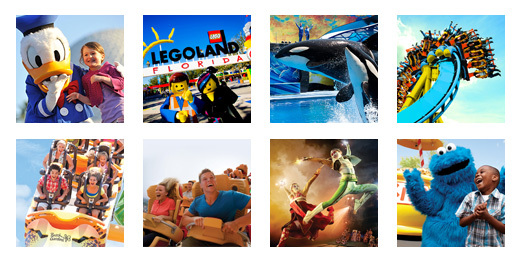 This particular savings deal on TicketsatWork.com can easily be described as ‘awesome’ – especially for fans of SeaWorld® Orlando. SeaWorld® Orlando is a great destination for your next family vacation, and with our Unlimited Visits + Parking ticket special, the SeaWorld® experience only gets better. TicketsatWork.com is featuring savings up to 35% on Unlimited Visits +Parking. For longtime visitors, or those just getting their first chance to explore the famous Orlando theme park, SeaWorld® Orlando continues to be a terrific way to spend a day (or more!) with family and friends. The park is filled with roller coasters and rides, shows, tours, attractions, and family-friendly activities for thrill seekers and animal lovers. And did we mention Shamu? A must-see ‘star’ for sure! There is always something new and fun to see at SeaWorld® Orlando. In fact, well-known animal expert Jack Hanna returns to SeaWorld Orlando this Saturday to kick off the 2016 edition of Wild Days, a three-weekend event that emphasizes nature, educational shows and wildlife rescue. During Wild Days, enjoy the park in a whole new way as you encounter amazing animal friends. You’ll explore their world like never before through fun, interactive games, up-close experiences and fascinating learning sessions with SeaWorld’s animal experts at over 14 Explore Zones. Other Wild Days themed weekends include Penguin Lovers Weekend, featuring SeaWorld animal ambassador Julie Scardina on Jan. 23-24 and “Sea Rescue” Weekend on Jan. 30-31. And don’t forget about new interactive experiences, shows, even more up-close animal encounters and a Sea of Surprise™ every day. All that awesomeness and savings are up to 35% off on our very special Unlimited Visits + Parking deal.